A new research paper from international analyst group IMEC has found that changes to bitcoin proposed by a software implementation called Bitcoin Unlimited would "magnify the effectiveness" of attacks on the network. 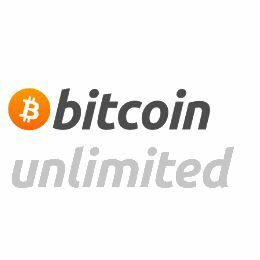 An alternative version of the software, Bitcoin Unlimited emerged in 2016 as an effort by like-minded developers and startups that sought to replace bitcoin's hard-coded block size, the center of the sprawling scaling debate, with a new concept called "emergent consensus." As outlined in our CoinDesk Explainer, the idea was that, rather than having rules like block size specified directly in the code, nodes and miners could be made to converge on bitcoin's rules naturally, using free market principles. However, using game theoretic modeling, the IMEC study finds miners with the economic resources to support larger data blocks have "both the incentive and the ability" to force out smaller miners from the network. The researchers used two models as a proxy for the "social choice" involved in this decision-making, testing how the idea would function in both secure and challenging conditions. Specifically, the report found that by having miners and nodes signal both an "excessive block size" and "maximum acceptable block size" as a means to determine the rules, new attack vectors would open, essentially letting miners "deliberately fork the network" if desired. "Our results ... prove that forks happen frequently when the attacker's block size is flexible," the report authors state. "In other words, in BU, the profit-driven nature of miners is inconsistent with bitcoin's decentralized philosophy." Even in separate tests where it was assumed miners were compliant with protocol rules, analysis found that "strategic" miners could gain block rewards "unproportional to their mining power" and trigger "long forks ... more easily and more frequently" than under the constraints of the software's current design. Ultimately, the paper finds that the security implications of such a change have "not been thoroughly analyzed." Penned by researchers Ren Zhang and Bart Preneel, the paper provides a refreshingly scientific context to a technical side of a debate often defined by vitriol. Though, it's one that likely impacts the politics of the issue as well. Indeed, a fundamental divide between the two camps ideologically appears to be their views on miner and node consolidation, with developers seeing this as antithetical to bitcoin's value proposition, while startups have seemed more accepting of the trend as a side-effect of economics and business. Still, it remains to be seen just what the impact will be, given that the network is close to activating an alternative proposal. Called Segwit2x, the proposal would enact Segregated Witness, a code change proposed by bitcoin's current open-source development team.